Marie Claire is giving away one of six different L’Occitane hand creams with its November issue. They are Verveine (cooling gel), Lavande (with lavender essential oil), Delightful Rose, Vanilla Bouquet, Zesty Lime and Pivoine Flora. Get all six (they’re 30ml full sizes) and you’ll have gathered together a collection worth £48 (quick calculation that’s a saving of £24.06 on the retail price). 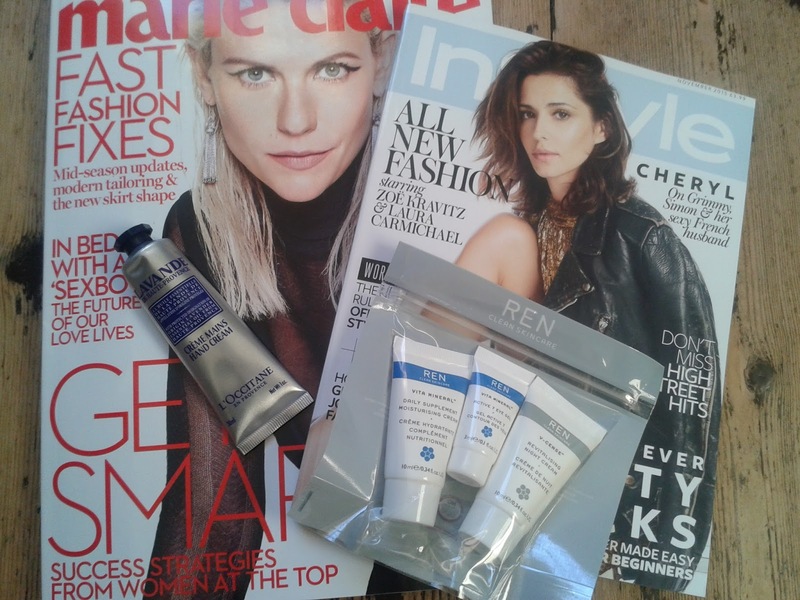 InStyle, meanwhile, has bundled a REN skincare set with its November issue, comprising an eye gel, day cream and night cream. It’s worth £14, representing a saving of £10.01 on the retail value (though these are sample sizes and I know I’ve picked up same on counter for free before now). 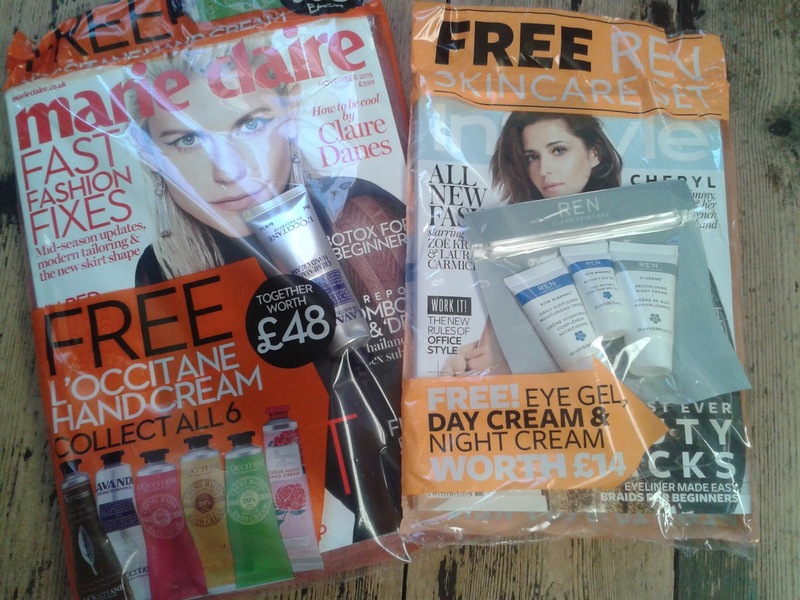 It does make me smirk how magazines always flag-up the retail value of these freebies – I’m guessing it does actually work as a marketing tool! So yep, I picked up the lavender. Surprising perhaps, given how much I worship a rose scent but I did collect the rose the last time I saw it bundled with a monthly mag - interestingly with Marie Claire exactly one year ago, here! Lavender is such a fabulously relaxing scent, and this formula is particularly fragrant and very nourishing. I often buy this hand cream when I’m feeling a little stressed, like now. My daughter gets her 11+ results in two weeks’ time – anyone reading this that lives in one of the few grammar school areas will understand my pain! More on L’Occitane here. 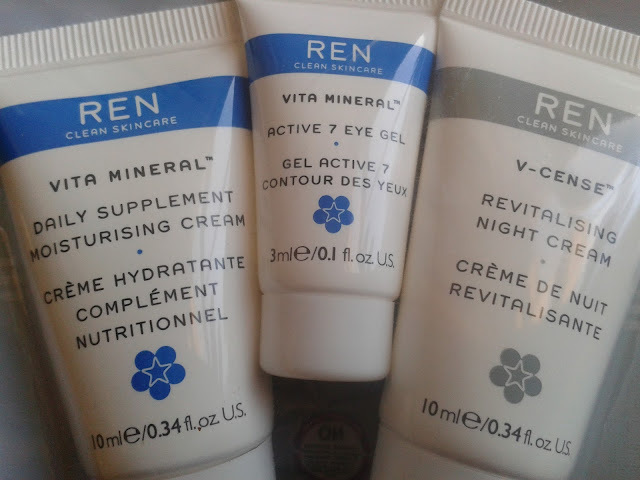 In the set you’ll find samples of Vita Mineral Daily Supplement Moisturising Cream, Vita Mineral Active 7 Eye Gel (the 3ml tube), and V-Cense Revitalising Night Cream. Both Vita Mineral products contain rose damascene, one of my most treasured skincare ingredients - for the scent as much as its hydrating properties. In the night cream is shea butter, again a superbly hydrating ingredient. I have yet to try this set – I only picked up the mags yesterday. I have, though, previously tried V-Cense Youth Vitality Day Cream. 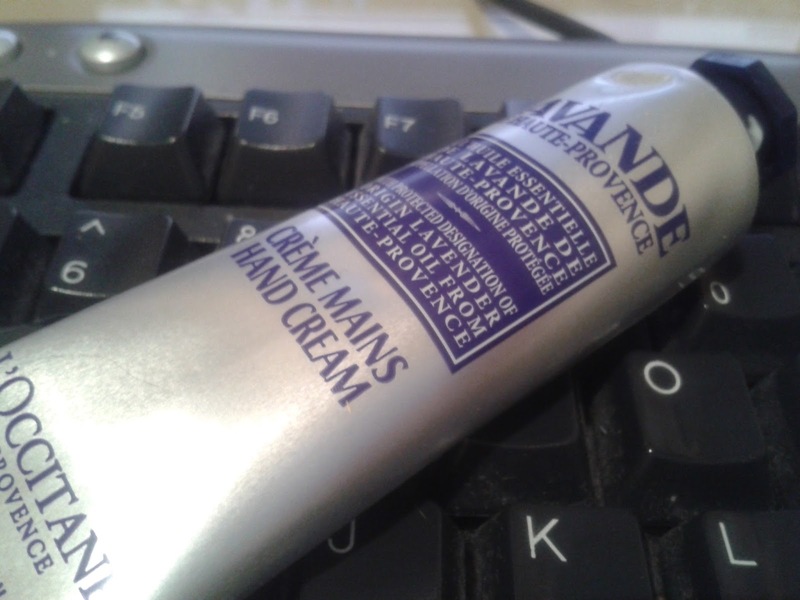 I found the texture of that too light for my liking, so it’ll be interesting to see how much richer the night cream is. As a footnote, I have rather mixed feelings about REN. It has always been one of my favourite skincare brands (choice product is probably the Glycolactic Radiance Renewal Mask) but it was bought by Unilever earlier this year and I always fear for an independent when it gets snapped up by one of the big corporations. Time will tell, I guess. 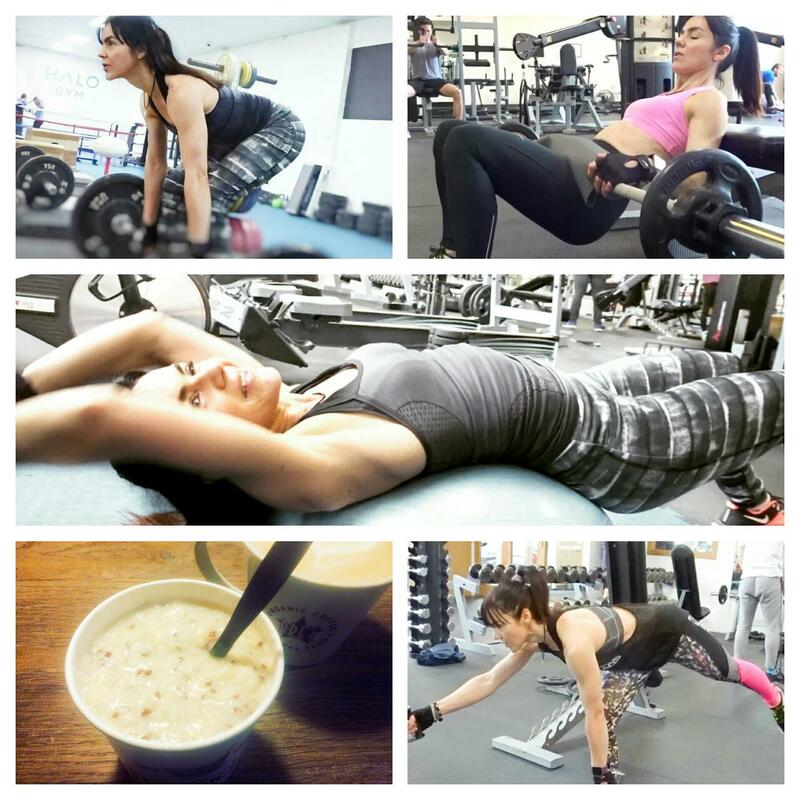 More on REN here. One of the things I always loved about the UK, the magazines' freebies :) Really :) Guess what, when I read here about what they are giving, and till I go back, I am asking the mags to be bought and get stored for me - so when I arrived, I will have a lot to catch up, although I watch BBC every night and even the X Factor abroad :) Now, thanks for this post, then :) I also got the hand cream some time ago, cause L'Occitane has this promotion from time to time. It's good, but I am awful when it comes to using creams. 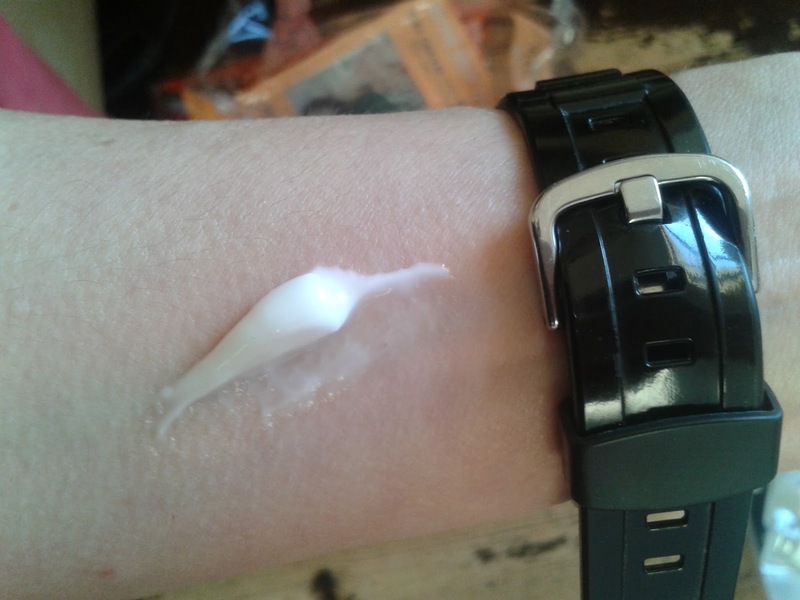 So I used once and left it :) But it's nice, nothing against the cream. I didn't know that Unilever bought REN... I would have the same feelings you had. I used one REN product and it was good. Hope this set is good too! And that you have a nice weekend, dear Tracey! Can't leave the house without my L'occitane hand cream now it's colder outside!